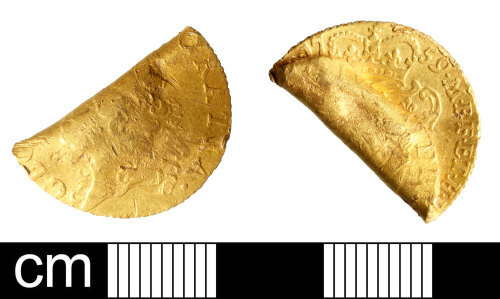 A Post-Medieval gold Half-Guinea of George III (AD 1738-1820), dating to AD 1797. Spink no. 3735.